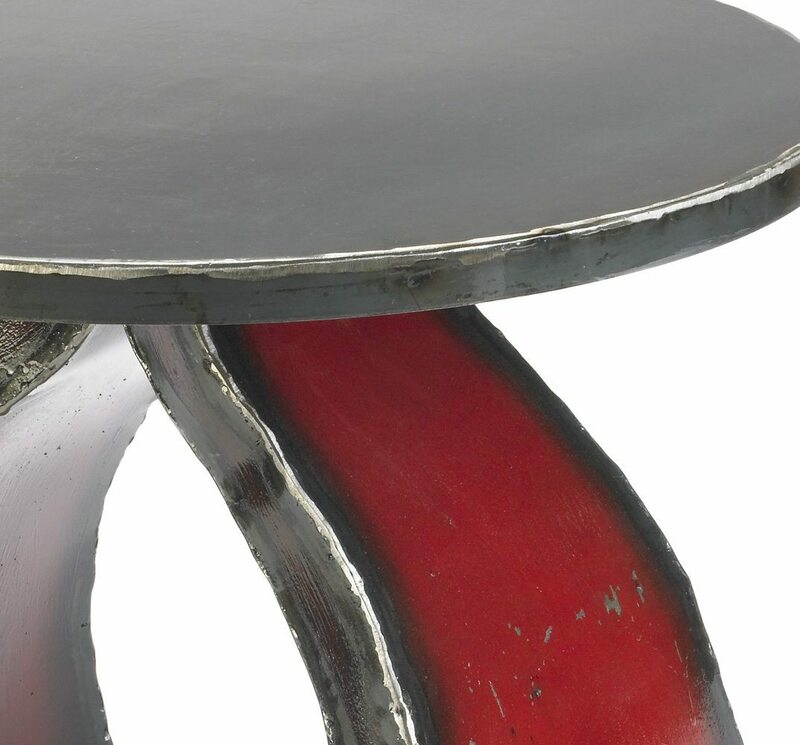 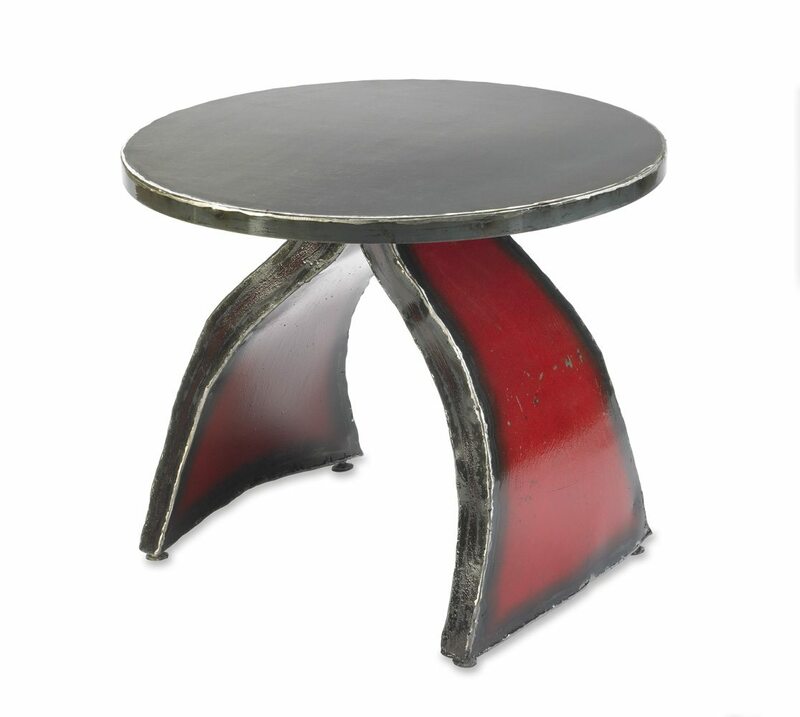 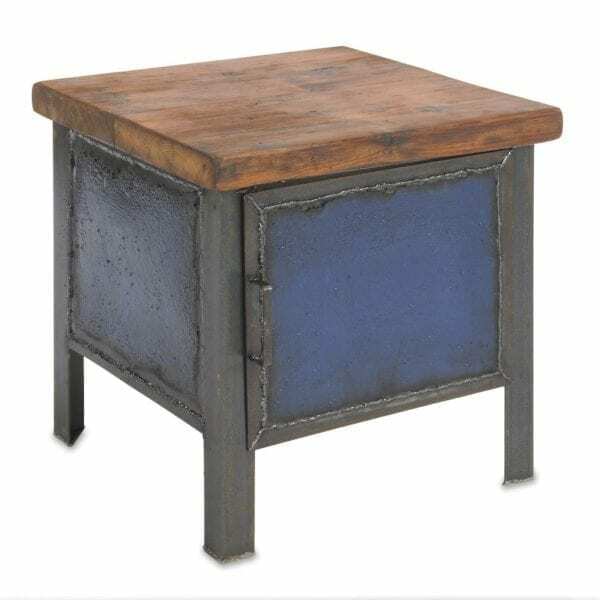 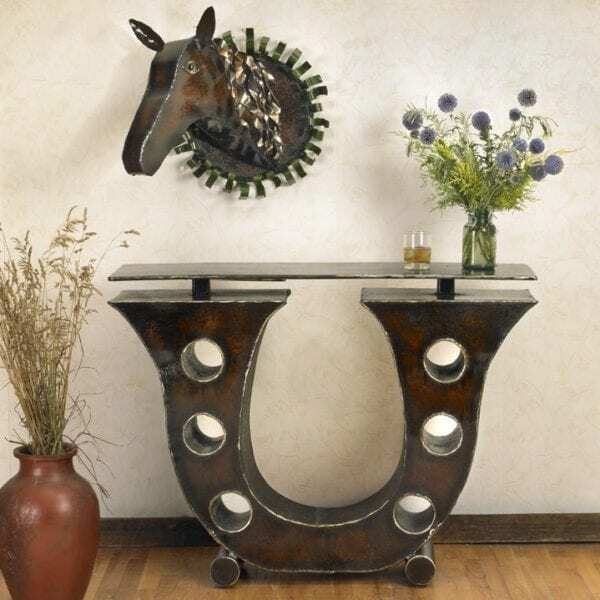 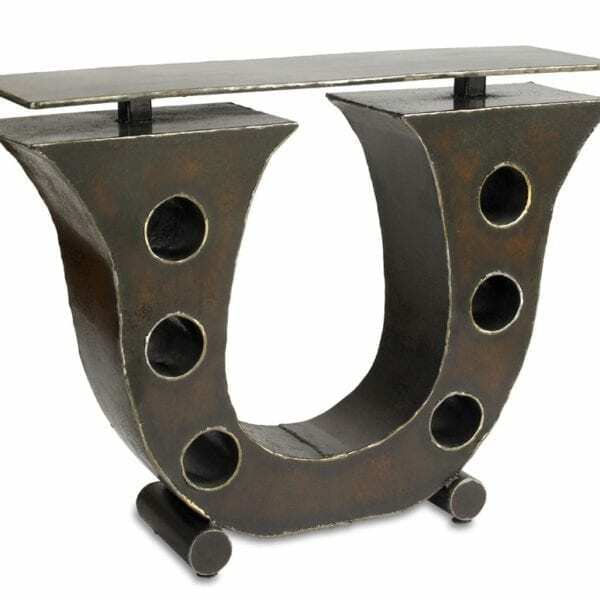 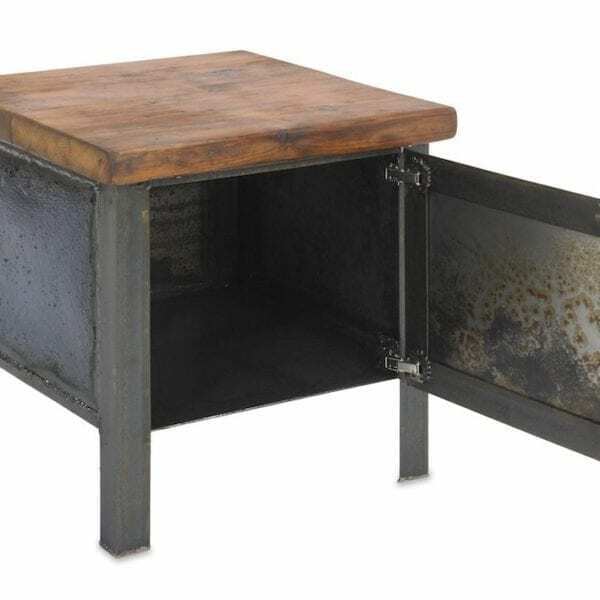 This side table is made from reclaimed steel. 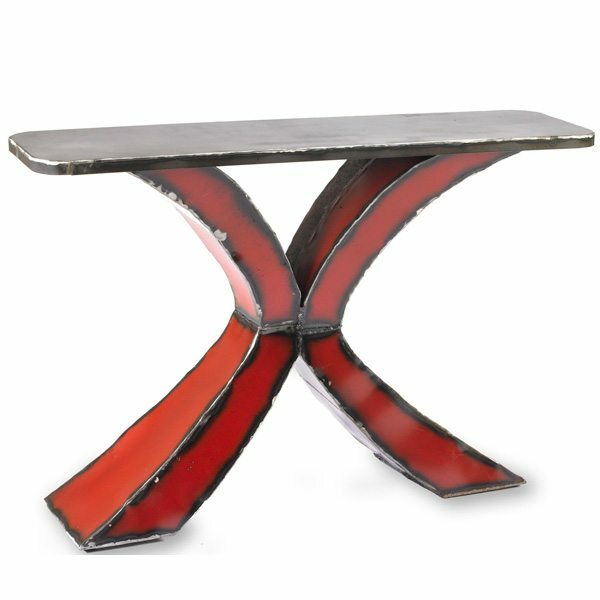 It is handmade in Pennsylvania by Ben Gatski. 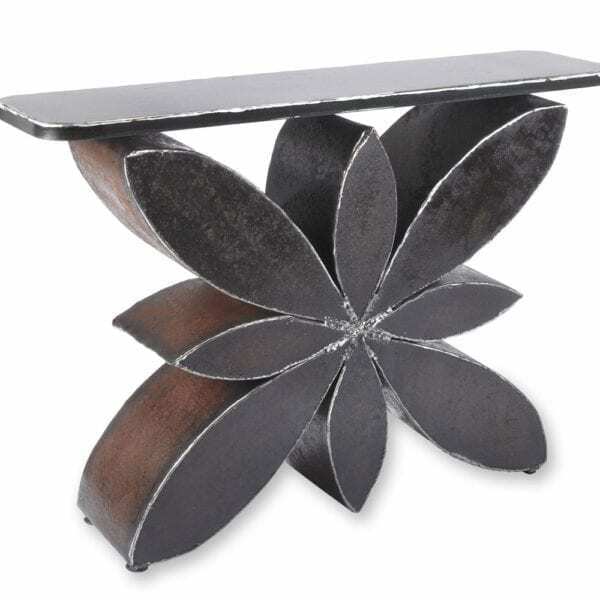 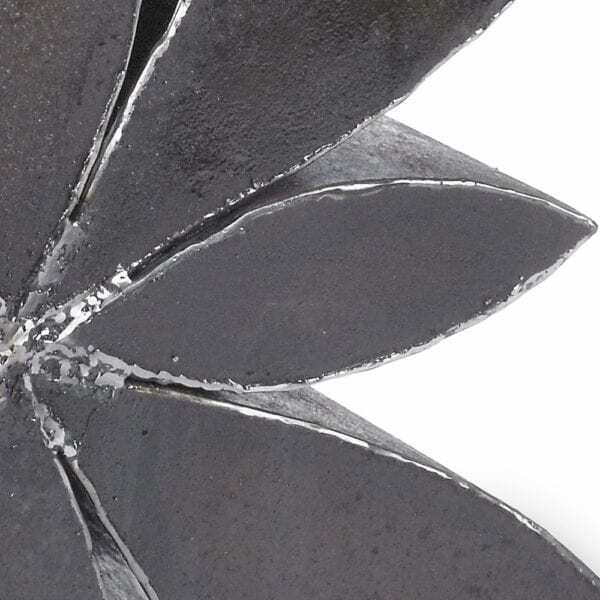 Each piece of steel was hand cut and welded together. 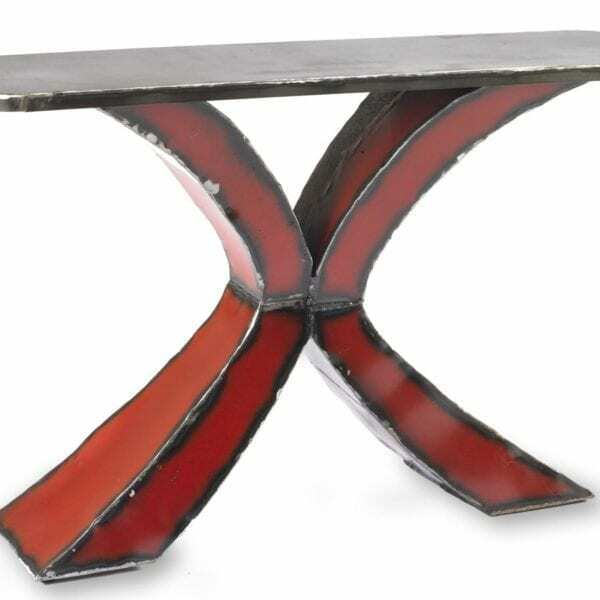 The base was hand painted with red milk paint.